The pineapple is one of favorite fruits in the world. Pineapple can be used as a useful mask to remove dead skin cells, as well as eliminate stains, and is perfect on normal and oily skin, Pineapples are rich in vitamin A and C, which are efficacious peeling off dead skin. 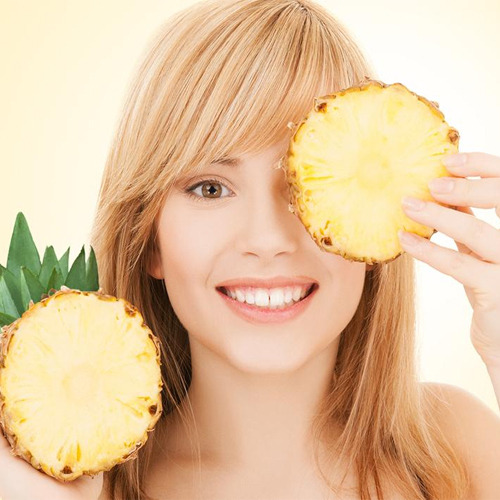 Here are 5 benefit of pineapple for beauty.